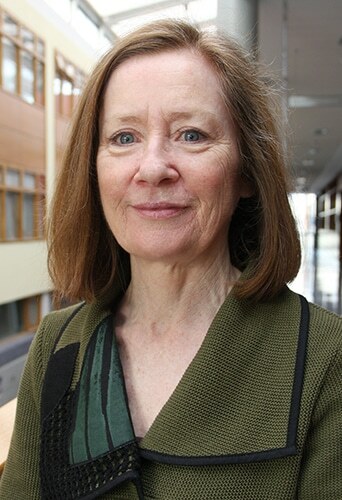 Dr Bríd Quilty is a Senior Lecturer in the School of Biotechnology at Dublin City University. A microbiologist, she has a particular interest in the microbiology of water and wastewater. She leads a large multinational research group and current projects include investigations of the microbiological quality of drinking water in rural Uganda in collaboration with the University of Makarere, Kampala and an innovative approach for the photodisinfection of water using novel photosensitisers and sunlight funded by the Brazilian programme Science without Borders. She has close links with industry and is the external representative on the Biological Safety Committee, Pfizer, Grange Castle, Dublin. Bríd has expertise in areas of Microbiol Ecology, Water Quality, Biological Waste Treatment, Activated Sludge, Bioaugmentation, Pseudomonads, Bacterial aggregation, Photodisinfection.